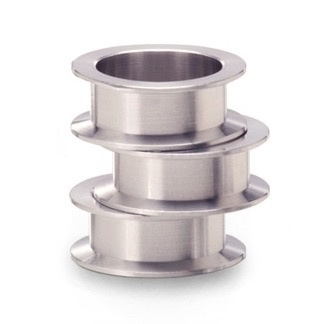 This precision-machined, aluminum bobbin spools fit the Norvise Bobbin. Many fly tiers using a variety of working threads find it economical to simply change spools rather than have a separate bobbin for each thread. These spools hold from 50 to 500 yards of thread, depending on its size (diameter). It’s best not to overfill them. These bobbin spools are identical to those included in the Norvise Bobbin Kit. Bobbin spools are available in packages of three spools, or in a box of ten. Helpful hints: Winding in a set direction is not critical as the spools can be “turned around” on the bobbin. Norm suggests using a marking pen on the side of each spool to identify the thread type or size. A rubber band around the thread on the spool can be used to keep it from unraveling when stored.